The Permanent Bureau of the Hague Conference on Private International Law is pleased to announce that, following a transparent and competitive tender process, the contracts for the development and maintenance of the iSupport case management and secure communication system have been awarded to Protech Solutions. 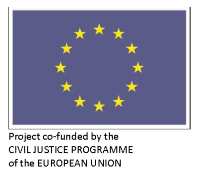 The iSupport case management will be used by Central Authorities designated under the 2007 Hague Child Support Convention and the 2009 EU Maintenance Regulation to process applications and requests for the purpose of facilitating cross-border maintenance recovery. The secure communication component of iSupport will be provided by the e-CODEX project. It provides a free of cost open source secure communication solution developed by a consortium of Member States of the European Union and associated countries. All relevant documentation pertaining to the iSupport project is available on the iSupport section of the Hague Conference website. Protech Solutions is a global company working extensively with government organisations. It has an extensive experience in delivering and maintaining case management systems in the area of maintenance recovery. Protech Solutions has successfully executed a variety of projects including large child support systems for state governments in the United States of America. The development and testing of the system will commence on 17 July 2015 and will include a pilot phase from 18 January to 4 March 2016. Seven States have already expressed their interest in piloting the system. For further information, please contact < iSupport@hcch.nl >.